As we were saying, Te is pronounced DEH. In classical Chinese, it is written two ways. The first joins the character “upright” to the character for “heart”. It’s meaning is virtue. The second way adds the character for “left foot,” which in Chinese signifies “stepping out.” Its meaning is virtue in action. Te is not, as its English-language equivalent suggests, a one-size-fits-all sort of goodness or admired behavior that can be recognized as essentially the same no matter who possesses it. It is instead a quality of special character, spiritual strength, or hidden potential unique to the individual–something that comes from the Inner Nature of things. And something, we might add, that the individual who possesses int may be quite unaware of– as is the case of Piglet through most of the Pooh stories. Posts of course are the things people use in WordPress, after all it’s primary uses is chronologically organized series of content, as bloggers do. You organize posts by categories and tags. They pretty much do all you need. Pages usually are called upon as things that stand alone from the glory of the blog flow; they are things like About pages, Contact pages, lists of resources, maybe a resume. In years past the difference was perhaps more important because of how hard it was maybe 4 years ago, to add menus to your site. It was either something that called for manual coding or plugins, but with the modern flexible menu system put into place some time ago, you can hang links to posts right off the menu, mixed with categories. 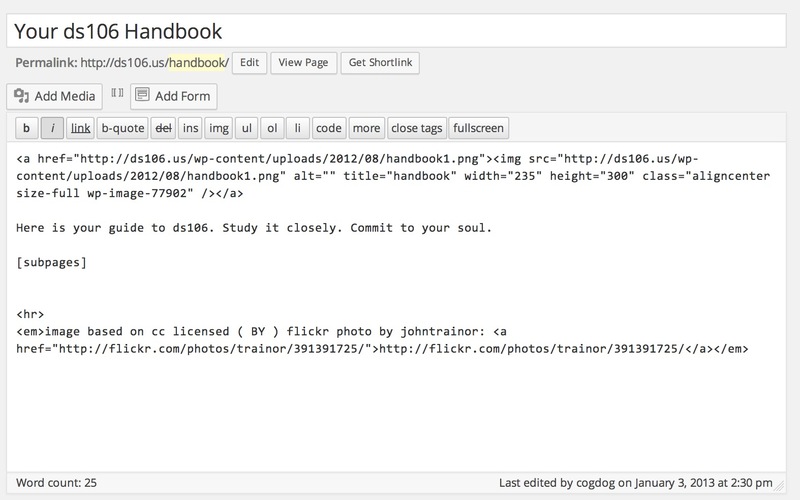 So conceptually, you could write an About page as a post, and then hang it right off the menu. 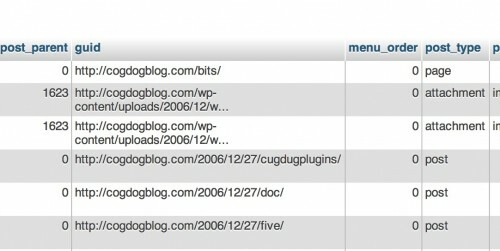 And most blog sites end up having 0 to 2 pages. The places where the do come into play, is where you might have to create an organized hierarchy of content, pretty much what has been done for centuries in these things called “books” (look them up, amazing stuff out there). It’s cases where you want to managed a classification of content, that I find pages useful. A major limitation of this is every item can only have one place, you cannot put the same item in different hierarchies. Yes, it looks like an old fashioned passÃ© media form. But where I have been using this are cases where the use of a plugin enables these parent-child relationships to be not always as strictly written in advance, but almost like “smart folders” where the content of a part of this tree can be auto generated based on the relationships of pages added. This is typical blog reverse chronological flow, it makes sense for a class where you want students to see the most recent content first. 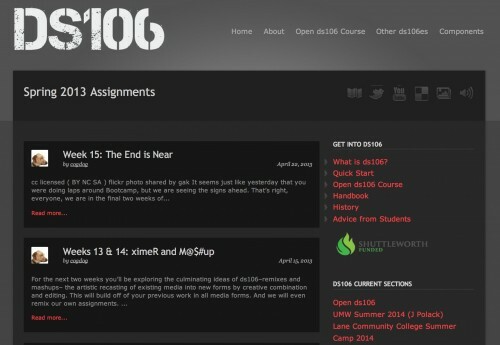 But it’s the reverse of the order it was created in, if you want to browse the assignments, you go in reverse order. Technically, I could modify a theme template to change this ordering. 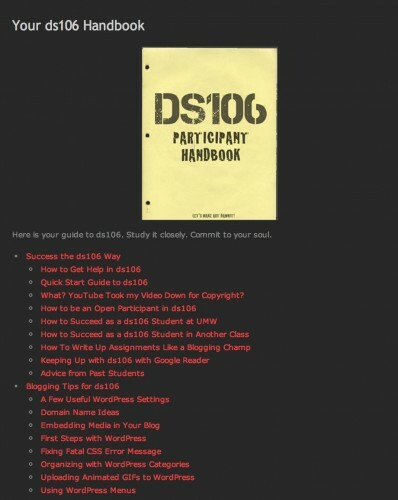 But compare this to the structure I made for the DS106 Open Course, driven by a page hierarchy, because this was something I set up not to be organized by time, but more as a reference to a structure for an open ds106 course. When you organize content by pages, you can not only use the parent-child relationship as an organizer, but the page order attribute in the editor, to control the order that pages are displayed. I have been using this approach on two recent projects for clients. I see two variations of “problems” with their sites… one is they use pages but no hierarchy, so the pages are just a swath, maybe as many as 100, all with no logical organizing. The other is where they do use the hierarchy but so much that there are 19 levels, many not parallel. 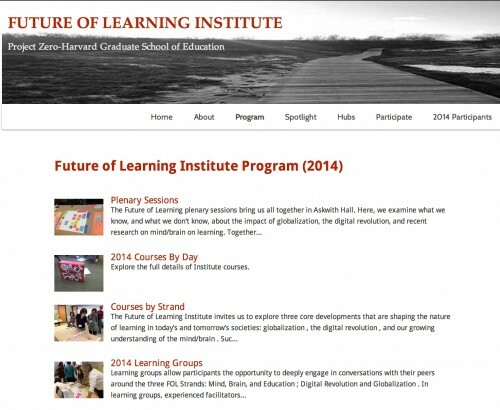 On the first site is the Future of Learning Institute site — I set it up last year focussing on the syndication portions, and left it to the staff to create their event program. Everything they made were pages, there is a Program, and in that are Keynotes (and specific keynotes in it), courses, and an index of courses by the schedule. All of these pages were created at the top level of the site. The problem I see is (a) it’s hard to manage the structure with so many pages; but worse (b) They manually create pages for individual keynotes; than manually create an index page of keynotes with links to those, and then manually enter a program page to include everything. This page is just index of it’s own subpages, and uses the Page-List plugin capability to use the featured image of a subpage as an icon. The text is from the first 250 characters of the page (or you can fine tune this by inserting a more tag in the sub page to control how much text it grabs. Likewise, the page for plenary talks generates its own index from it’s own subpages. As is the index of Courses By Day, which uses four uses of the shortcode to list as specified, all Wednesday AM, Wednesday PM, Thursday AM, Thursday PM courses. 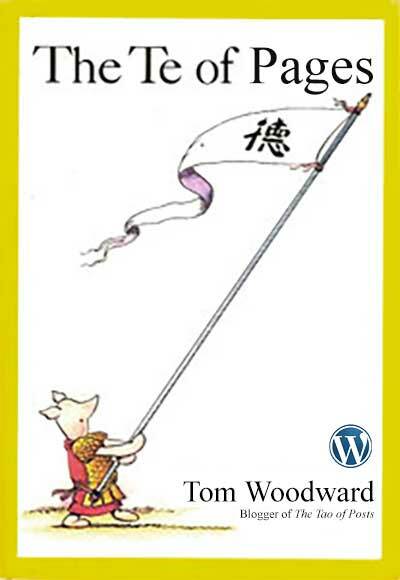 If you are with me, Piglet, this means this comes into play when you want a page structure that generates content based upon the pages under it. So you can change things simply by adding new pages to the appropriate places in the structure. The Page-List plugin (which is essentially an easier short hand to a collection of WordPress functions to present lists of pages) is a workhorse with a ton of options. You can use the shortcodes in pages and widgets. I have another site where I have used it rather extensively, a redesign of the Society for Learning Analytics Research (SoLAR). When I looked at the existing site, it was one made entirely of pages in depths about 7 deep. I won’t detail all the places I have used the Page-List structure, but it is all over the site. Well, I cannot say Tom that for a portfolio site if a Page structure really has a place. It depends on the information structure one might like to have. But let’s say people want to organize a collection of works, and can figure out a tree structure that works. A page structure could allow for maybe a generative index of content, but it also might end of being limiting of you want to have multiple ways to organize the content (e.g. by time, type of media, kind of project).